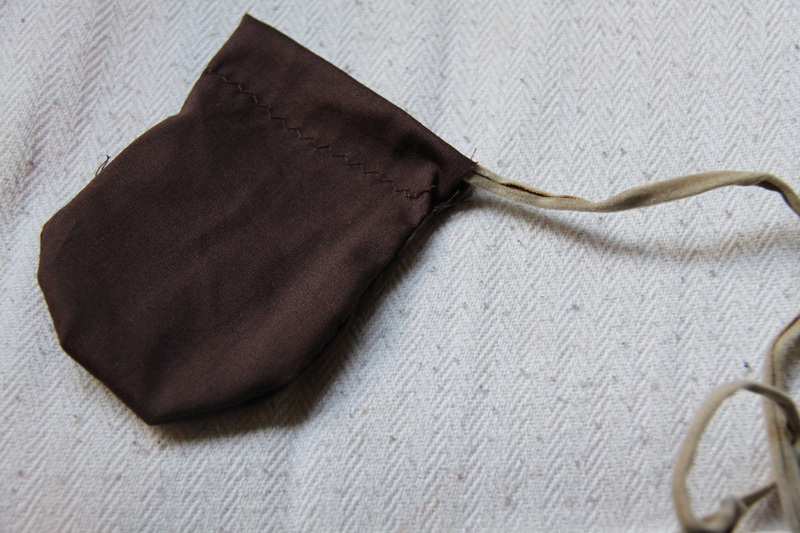 A little bag to store your talismans, amulets or.. ehm.. candy. 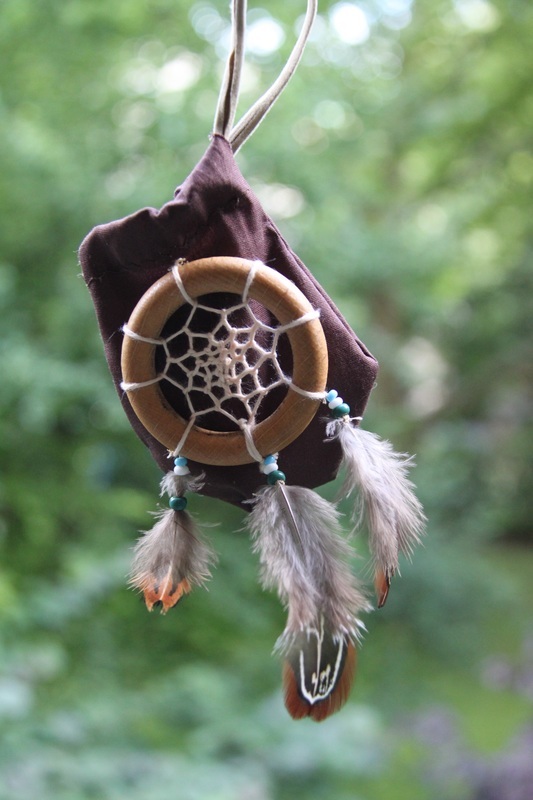 The dream catching kind. 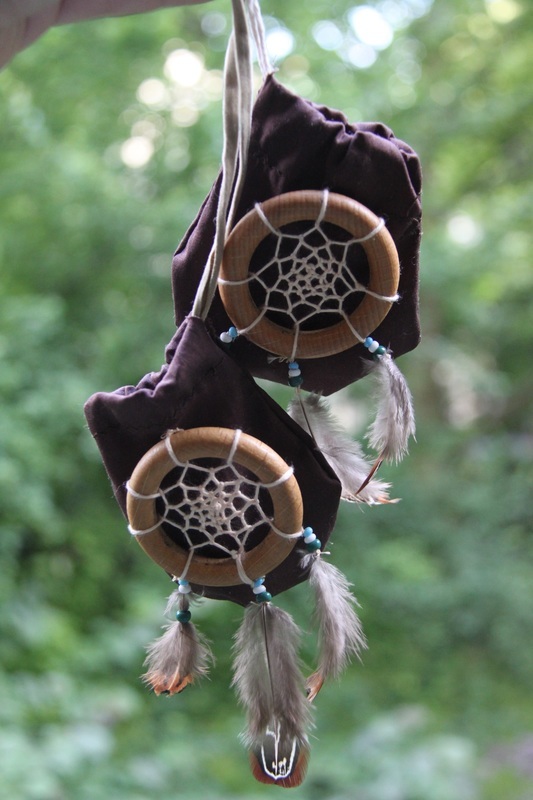 First, the dreamcatchers. I used some old curtain hooks as a base. 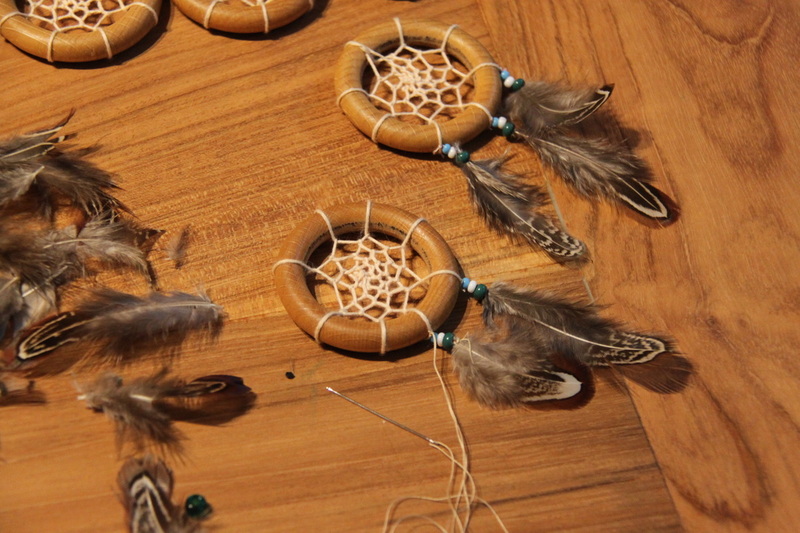 Now decorate your dreamcatchers with feathers and beads. 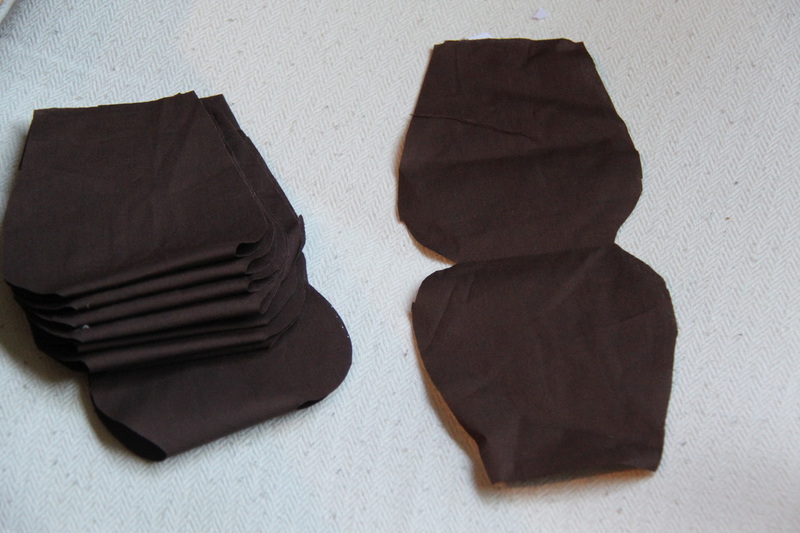 Step two: the little bags. Or pouches. Or whatever you want to call them. 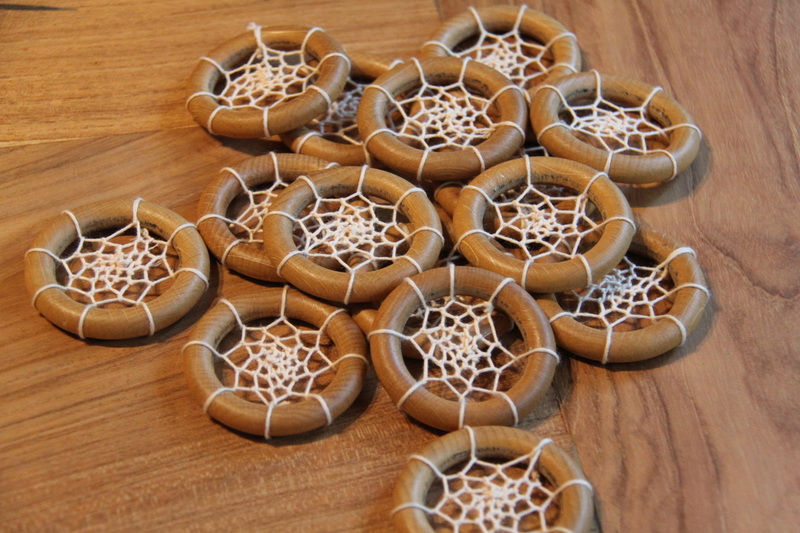 For us, talisman holders. 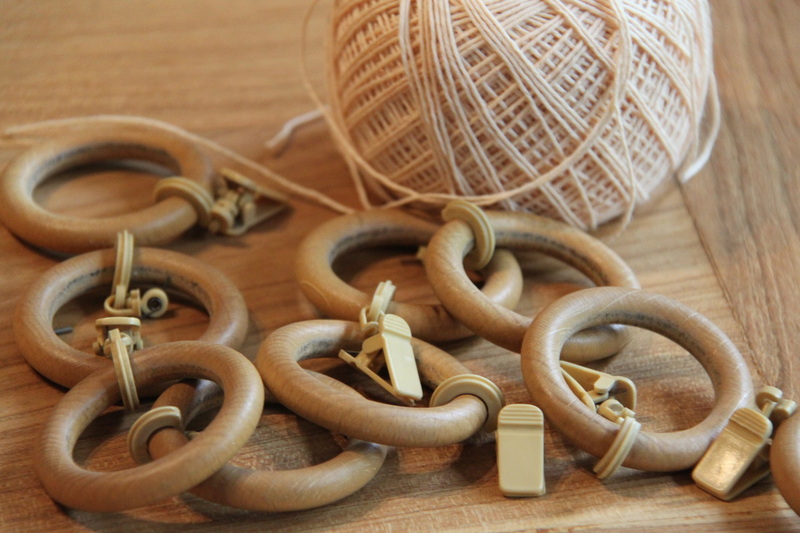 Start with cutting bag shapes out (no special pattern needed). 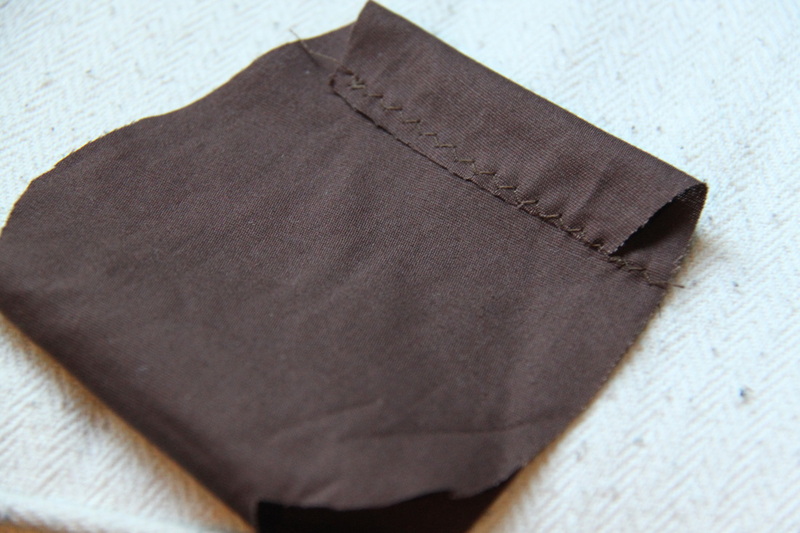 Fold the top ends on the wrong side and stitch, leaving enough space for your strap later. 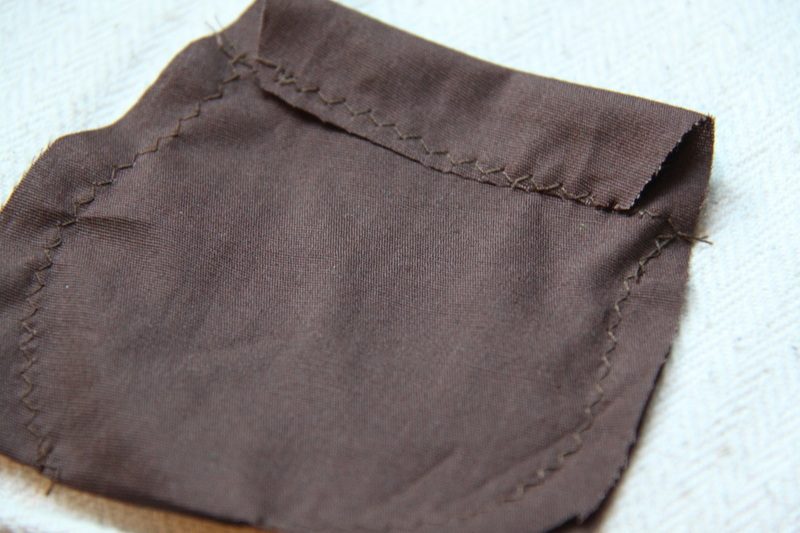 Close the sides, starting under the stitch you just made. Turn right side out snd string your strap.